The joyful noise from a Southern California neighborhood church has been the nightmare next door for one Los Angeles woman. Susan Rocha said the chiming of bells and music at Divine Saviour Catholic Church is anything but heavenly. "You could hear it over the TV, over the shower, you're sleeping and it wakes you up," Rocha said. "It rings eight to 10 times a day, and it's not a real bell. It's a tape recording." We found out that Divine Saviour uses an amplified speaker system in its tower and while Rocha is the only person to officially complain, no one is denying it’s loud. Signing up for the National Do Not Call Registry is not enough to protect millions of us from unwanted telemarketing and robocalls. 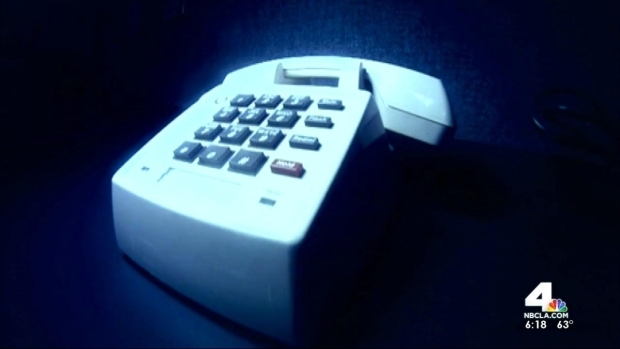 But new web-based tools promise to help block the dreaded phone calls once and for all. Randy Mac reports for the NBC4 News at 6 p.m. on Wednesday, May 6, 2015. "It sounds like it’s coming from in the house almost because it’s pretty loud. So for me, it’s pretty loud," neighbor Fred Sanchez said. Other neighbors like Marlena Baldonado said she doesn’t mind the sounds from the church. "They don’t bother me, I actually think it’s nice," said Baldonado. Rocha said she has been unsuccessful each time she asked the church to turn down the volume. She’s tried picketing them on Sunday mornings and she said she even started recording decibel levels as part of her city complaint. When the NBC4 I-Team stopped by the church, we found the bells recorded at a 78, but Rocha said she’s registered levels as high as 105. "A violation of a decibel level would be .5 over the ambient sound, which is the normal sound of everyday activities," said LAPD Noise Enforcement Officer Rick Russel. Southern California dog owners have been wary of feeding their pets jerky treats made in China, ever since the products were linked with the deaths and illnesses of thousands of animals. 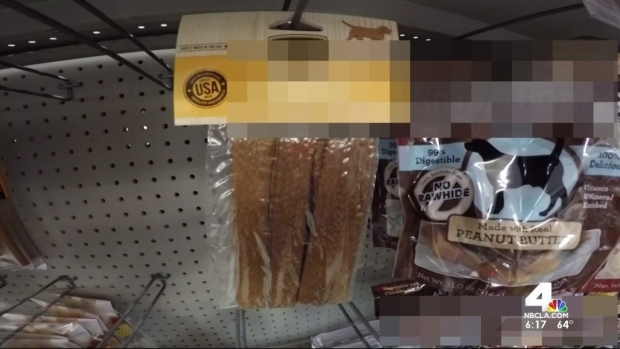 But jerky treats labeled "Made in the USA" may pose a risk to your pets' health as well, the NBC4 I-Team has learned. Randy Mac reports for the NBC4 News at 6 p.m. on Monday, May 4, 2015. According to the letter of law for Los Angeles’ noise ordinance, Divine Saviour’s bell chiming and music are in violation, but there is a catch. "Section 115.02 of the Los Angeles Municipal Code exempts churches and their bells from this law," Russel said. Other exemptions to the noise ordinance include school bells and sirens. LAPD said many of the complaints they receive are for constructions sites. 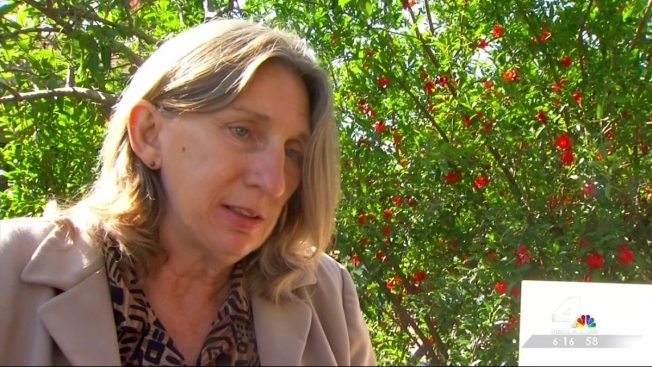 "We have worked with Ms. Rocha to address her concerns. We lowered the decibel level three times and we haven’t had any other complaints." Rocha insists her dispute isn’t with the church or its congregation, but it’s the noise and being told that living nearby is the cross she must bear. Donovan Dixon was injured in a big rig crash on the 710 Freeway in 2013. After fighting with his workers' compensation insurance over a bed doctors say could help him heal, he will finally get a comfortable place to rest, thanks to a generous act that came in response to an I-Team investigation. Randy Mac reports for the NBC4 News at 6 p.m. on Thursday, May 7, 2015. "You have the right to be as loud as you want within your four walls, but you have no right to come into my house without asking my permission," Rocha said. "I don’t want to hear it. It’s about the noise."